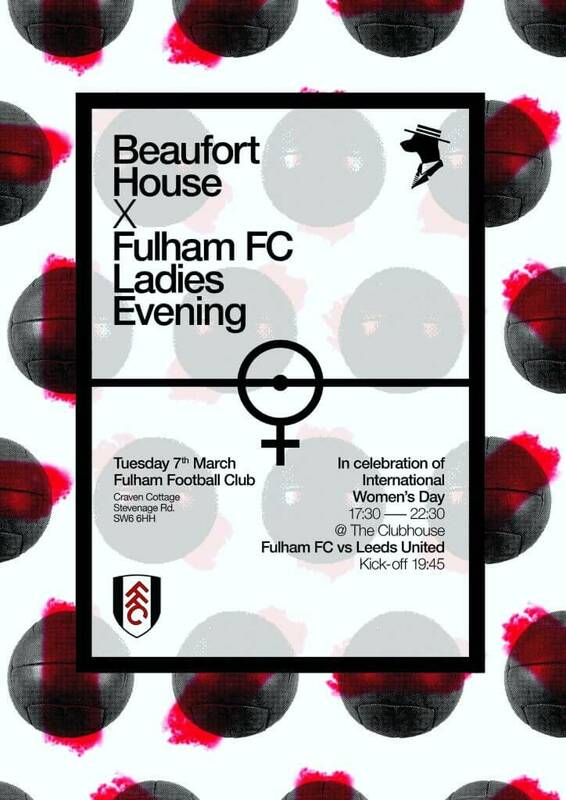 We are proud to announce we are the official partner for Ladies Evening at The Clubhouse at Fulham Football Club on Tuesday 7th March 2017. Join us at The Clubhouse, football’s first ever gin bar, for an evening of drinks and entertainment as we celebrate International Women’s Day ahead of Fulham’s Sky Bet Championship fixture against Leeds United (kick-off 19:45). With private balcony seating in prime position, cocktails, canapés and your very own Gin Masterclass this is the only way to enjoy the football – Beaufort House style! As an exclusive offer to our members and friends, tickets are priced at only £79 (exc VAT). Please quote BeaufortFootball when purchasing your ticket(s) to receive this offer.